Hydrocodone is a widely prescribed narcotic analgesic that is available as generic and trade name formulations. It is used for the management of moderate to severe pain. This medicine is also a centrally acting antitussive and is present in combination generic and brand name products for the treatment of a dry cough. What is hydrocodone generic for? What is Lortab hydrocodone? Is there a difference between generic and trade name formulations? Let’s find out some of the other names for hydrocodone. What are the Brand Names for Hydrocodone? What are the Generic Names for Hydrocodone? What is the Difference Between Generics and Brand Names? What is the Brand Name for Hydrocodone? What is Generic for Hydrocodone? What is another name for hydrocodone? Is Generic Hydrocodone Less Effective than the Branded One? The generic is usually less expensive than brand name formulations. This is because the pharmaceutical company that first brings the drug to the market has to invest a lot of money in discovering, researching, testing, developing, producing, and marketing it. Patents allow manufacturers to exclusively sell the brand name for a period of time before generic becomes available. However, generic contains the same active ingredient, maintains the same concentration and dosage, and is as pure and stable as the brand name. Brand name products are available in many dosage forms, including extended-release capsules, tablets, extended-release tablets, liquid, and syrup. Each of these has varying amounts of the opioid and another medicine. Whatever the formulation, the drug should be used only by prescription. Incorrect use of this medicine can result in fatal breathing problems. Moreover, opioids can have dangerous interactions with other medications. For example, gabapentin and hydrocodone taken together can be lethal. 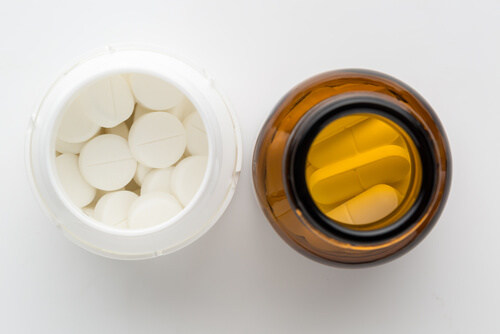 Certain substances are touted as alternatives to this drug or natural hydrocodone, but it is always a good idea to discuss their use with a healthcare provider first. 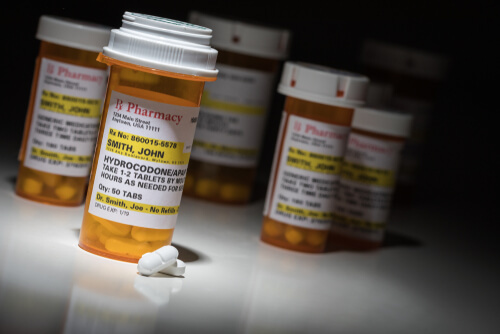 Hydrocodone painkillers, whether generic or brand name, are highly addictive due to their opioid content. These medications alter the way the brain perceives pain. Misuse of both generic and brand name formulations can quickly lead to physical and psychological dependence. Once a person is addicted to the opioid, suddenly stopping its use can result in uncomfortable symptoms. For this reason, hydrocodone withdrawal timeline must be gradual and under the supervision of healthcare professionals. There are a variety of inpatient and outpatient treatment options available to individuals who are addicted to either the generic or trade name form of this drug. The first step in recovery is usually detox from drugs to remove the illicit substance from the person’s system. This is followed by counseling, support groups, and relapse prevention. If you or someone you love is has become dependent on opioid painkillers, call our free helpline (888)-459-5511 for more information on addiction treatment. Advisors are available to answer your questions on hydrocodone brands and generic name medications, give you information on safe withdrawal from narcotic analgesics, and guide you towards long-term recovery from prescription pain pill abuse. Calls are always confidential and secure.